Totally Addictive Green Beans - No Way That's Healthy! My usual green bean recipe is great, but it uses soy sauce. I’ve been trying to stay off soy and I’m not always in the mood for an Asian flavored side dish. That’s where these totally addictive green beans come in. 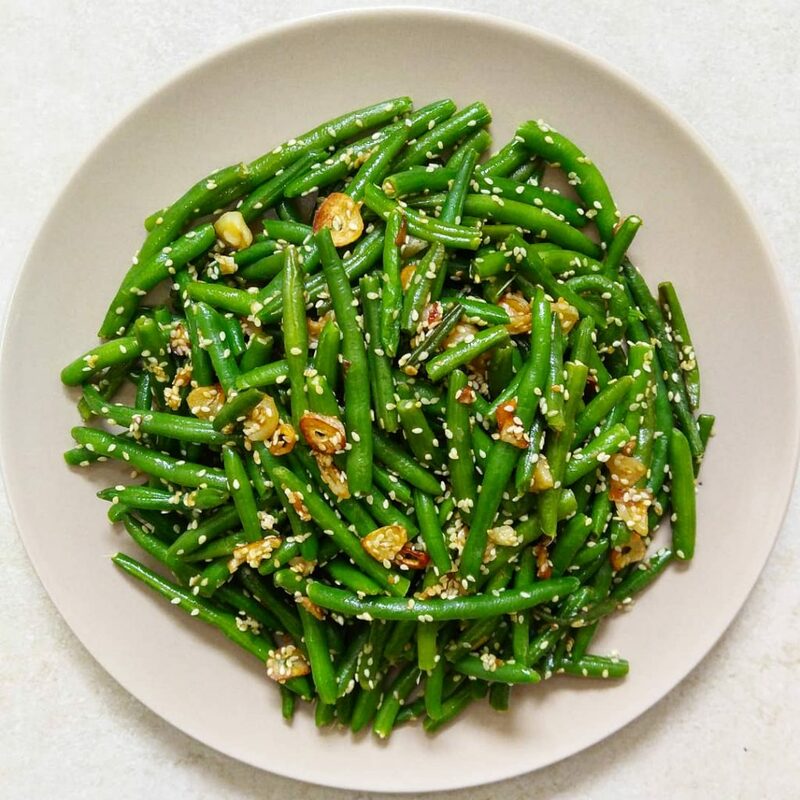 Just a few tiny changes to the typical sautéed garlic green beans makes the flavor incredible! Give these a try, they are super easy to make and of course super delicious! Feel free to use more or less of the ingredients below. It’s the technique that matters here. In a pan heat the olive oil on low heat. Add in the sliced garlic and allow to slightly golden. Next add in the sesame seeds and continue cooking till they become golden. Mix frequently so nothing burns, keep the heat on low. As soon as they turn darker put the green beans into the pan and mix. You can raise the heat to medium and allow to cook till the green beans have softened a bit, but still have some crisp. If needed, cover the pan a few minutes to soften the green beans. Salt to your liking. Mix and enjoy! If I am reheating them I always under cook them a bit as they will continue to soften when they are reheated. You don't want mushy canned green beans! This is the key to the perfect green beans even when reheated.